382 days ago. 382 days ago was the day I officially installed Fate/Grand Order on my faithful iPhone 5S. 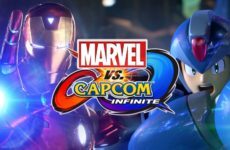 The mobile game that single-handedly spawned dozens of instantly recognizable characters had garnered a fair bit of hype leading up to its release, as it had originally been exclusive to Japanese online app stores and the only way one could play it was by either creating a Japanese account or installing via apk on Android phones. No one expected it to go overseas, including the developers themselves as the only reason Grand Order is worldwide now is because they realized a crap ton of people were installing it outside of Japan. 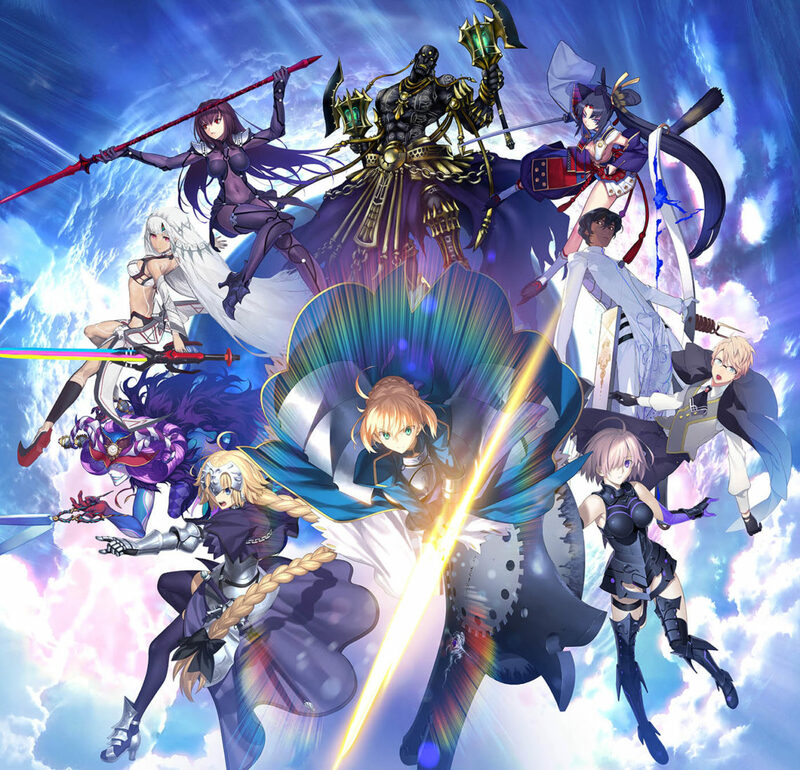 Having been out for 2 years already before finally hitting American digital soil, Grand Order was notorious for its characters, its stingy gacha system compared to other games of its ilk, and its surprisingly interesting story. 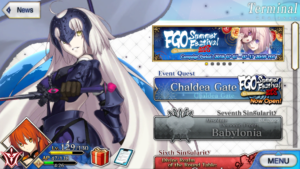 A handful of my friends were (and still are) active on the Japanese servers, all of whom warned me of the game’s allure and the ease of which it lured many a weeb into the depths of what they call “Gacha Hell”. Despite this, being the schadenfreudian jerks that they are, my friends still coaxed me into getting the game. Now I’m not into mobile games, never saw the need to get into them as I am an avid PS4, PSVita and 3DS gamer. 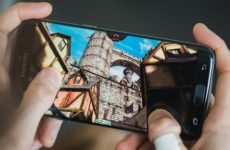 Mobile games are also infamous for having bugs, paywalls and shoddy content BUT, the circumstances this time were different. While its story was often… well… stupid, I am a huge fan of the Fate series and quick glances at Grand Order’s game play revealed it to be a rather in-depth, turn-based game. So I bit the bullet, took my chances. And so a day after it launched, I installed Grand Order on my phone. Beyond my wildest expectations, I had become more committed to Fate/Grand Order than any other game I’ve played in my lifetime. I make sure to log in everyday, never let my energy top up to max and constantly make it a point to clear out every event the game throws at me. I look up tactics, learn from those who played on the Japanese server, plan and level my servants accordingly based on upcoming content and pull up spreadsheets to contrast and compare statistics. It’s absolutely nuts. Somehow, Fate/Grand Order has managed to hit that perfect mix between casual and core gaming. Generally the game is rather forgiving, yet can ramp up the difficulty to high but still fair levels. Somehow, this mobile game has a gameplay flow even more competent than Pokemon and some Final Fantasy games. How many times have you been looking forward to a Gym Leader battle in Pokemon, only to be severely disappointed by how easy it was? How many times in some Final Fantasies have you been hit by a sudden difficulty spike that it forces you to grind? Fate/Grand Order has NONE of these problems. If a fight looks like it’s gonna be epic, it’s damn well gonna be a tough one. Say you can’t beat that fight? Chances are you’ll just have to change up your strategy and servant lineup. This formula contributes LEAGUES to story immersion and makes every chapter in Grand Order a blast to play through as you’ll be rotating through a whole cast of servants, each with their own unique skillsets and personalities. You’ll definitely still have to level up your servants and spend some time grinding for materials (as is the formula for most RPGs), but it’s never to a point where it becomes distracting or something you’ll come to dread. The game definitely has its share of issues though, mostly economical ones that are strictly unique to the North American versions of the game. For one thing, as mentioned previously; Grand Order is by far one of the more stingy gacha-based mobile games. Its premium currency, though given out for free fairly often, costs a lot to buy with real cash. 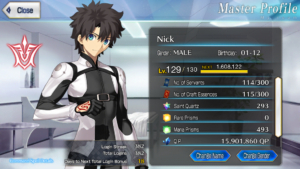 Even if you have said currency (called Saint Quartz), the rarest servants in the game will come to you at the whopping percentage chance of… 1%. The next level of rarity? 3%. That’s right, not even double digits. Granblue Fantasy is a freaking charity by comparison. It certainly doesn’t help that the American servers are, as of now, the worst in terms of giving out free stuff in comparison to the other servers internationally. 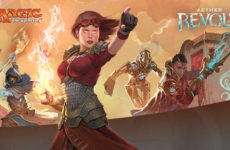 Another issue exclusive to the American servers is the severe lack of content announcement. Players who don’t aggressively research the Japanese server’s past events will likely only find out about the next in-game event 2 to 3 weeks in advance. This might be fine for those with boatloads of cash but if you’re like the other 80% of players who either wanna play for free or spend sensible amounts of money, you’d better have saved up those Quartz or you’re just straight up boned. 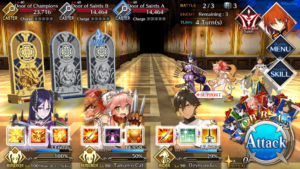 This ends up with a massive chance for players on this server to get burned out as the odds are severely stacked against you to summon a servant you want. So if you want the best quality of life in Grand Order? Probably start on the Japanese version as it is, by far, the best version of the game. Sure you may have lost out on years of freebies but you’ll still be getting loads. If you’re in it for the story then go for the version that you understand most, for example; China’s Grand Order version is obviously in Chinese. That being said, don’t let these minor issues stop you from trying out Fate/Grand Order. Despite its numerous issues in the American version, it’s the one I’ve been sticking to and honestly, the good stuff just far outweighs the bad. I’ve spent less than RM200 on this game during the one year I’ve been going at it and I’m still very satisfied with what I have. With no paywalls, free updates, fun events, an engaging story and a whole lot of waifus + husbandos with ACTUAL personalities and backstories, Fate/Grand Order is a surprisingly great gem and has truly impressed the cynic within me. It’s quite rare to find a game that doesn’t nickel-and-dime its players these days, especially in the mobile market. It truly baffles me that this game is more earnest and modest than anything the big boys like EA have put out recently. 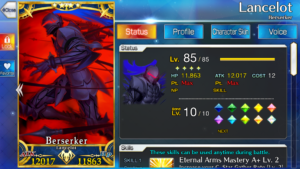 Perhaps that’s a sign that the market is really shifting, and with almost 1 billion dollars in revenue in 2017 alone, we all might just be able to learn a thing or two from Fate/Grand Order on how to make mobile games truly great.